MELBOURNE, Florida -- Two men are in custody and stand accused of a string of boat motor thefts in Brevard County. Shortly after 10:00 p.m on Sunday, Sheriff's Deputies responded to the Atlantic Self Storage located at 4660 U.S. 1 in Melbourne after receiving a report of a burglary in progress. Deputies, with the support of the Aviation Unit, arrived on scene and discovered two outboard boat motors, valued at approximately $10,000.00 each, that were in the process of being stripped. Deputies were able to immediately capture two suspects, 49-year-old Elio Enrique Lleo Mayea of Hialeah and 33-year-old Jorge Luis Cabrera of Palm Bay, as they fled on foot. Deputies say that the the group traveled from the Miami area to Brevard County on several occasions to conduct surveillance for potential burglary locations. 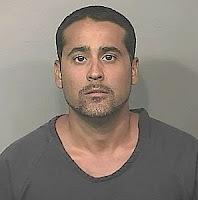 Based on the information obtained by investigators, the suspects are allegedly believed to be connected to outboard motor thefts that occurred on May 05, 2013, June 28, 2013, and July 07, 2013, at Atlantic Self Storage. On each of those occasions, Deputies say that the suspects were able to get away undetected after the burglary and theft. 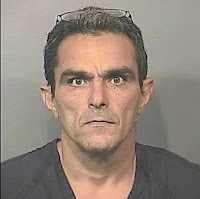 After further investigation, Deputies also believe that the suspects committed an additional burglary and outboard motor theft just prior to committing the theft at Atlantic Self Storage at 5180 N. U.S. 1. Anyone with information about this investigation is urged to call CRIMELINE at 1-800-423-TIPS (8477). All calls to CRIMELINE are confidential and callers can remain anonymous and be eligible for a reward for information leading to an arrest.